The Espresso Requirements Check plugin is a plugin you can install and activate on your site that can give you some diagnostic information and tell you if there are any immediate problems with your server environment that may lead to issues down the road with Event Espresso or other plugins. It is not meant to be a be-all, end-all definition of whether your server will run Event Espresso well or not, but rather to point out some areas that are easily identifiable and give some simple suggestions on how to address these issues. Download the Espresso Requirements Check plugin from the Requirements page or the link below. When it’s done downloading, you will have a .zip archive of the plugin. In your WordPress dashboard, navigate to the Add New plugin page in the Plugins menu. From there, click the Upload link to upload a new plugin from its’ zip file. Click the “Choose File” button and navigate to where you downloaded the .zip file, then click “Install Now”. Once the plugin is done installing, click Activate Plugin. Right away, on the Plugins page, you’ll see an alert that will tell you if your server is optimized for Event Espresso or not. This will either be a green (your server meets the recommended requirements), yellow (your server meets the minimum requirements but there may be some room for improvement) or red (your server has failed the check) alert. Most of the time this will be yellow or green. This alert will contain a link to the Espresso Requirements Check overview page, which can also be accessed from the Tools menu. The Requirements Check overview displays the results of a series of checks into your server environment. The plugin checks your PHP, MySQL and WordPress versions to determine whether your server meets the minimum requirements to run Event Espresso and also displays the recommended versions if the version your server is using is less than the recommendation but meets the minimum requirement. The plugin will check whether WP_DEBUG is turned on, run some checks into the theme you are using and whether it’s likely to cause issues or conflicts, and runs a number of checks into specific Apache or PHP functions. In some cases, warnings may display because the plugin wasn’t able to determine one way or another if certain modules or Apache functions were found. This is okay. Read each message carefully to make a decision about whether or not they need a specific action done to correct the issue. If you have any questions, contact your host or post a question in our support forums. 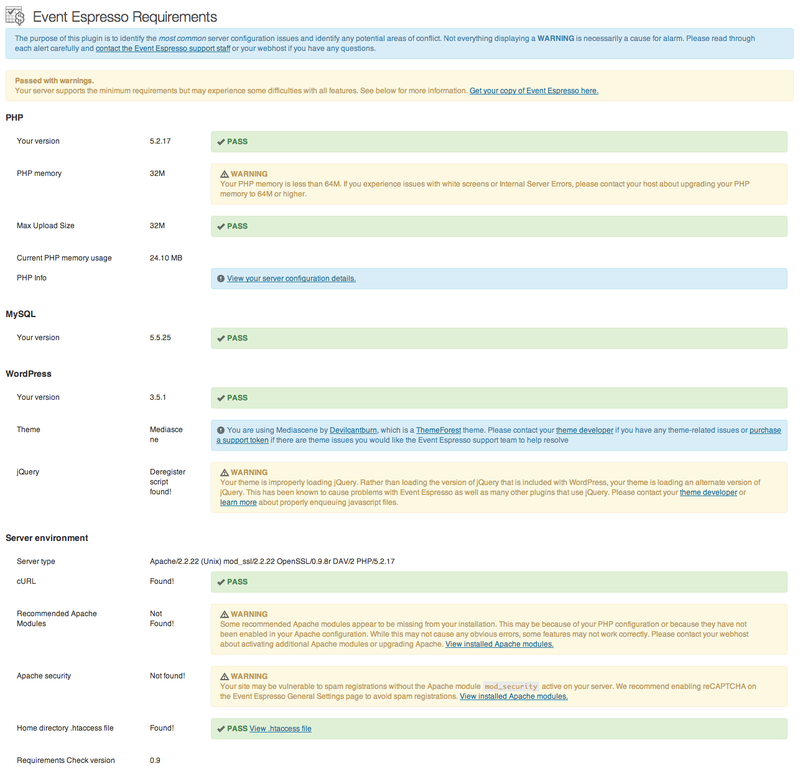 Besides being able to tell you whether your server is likely to run Event Espresso or not, the requirements check plugin includes a number of useful features that are more general in nature. 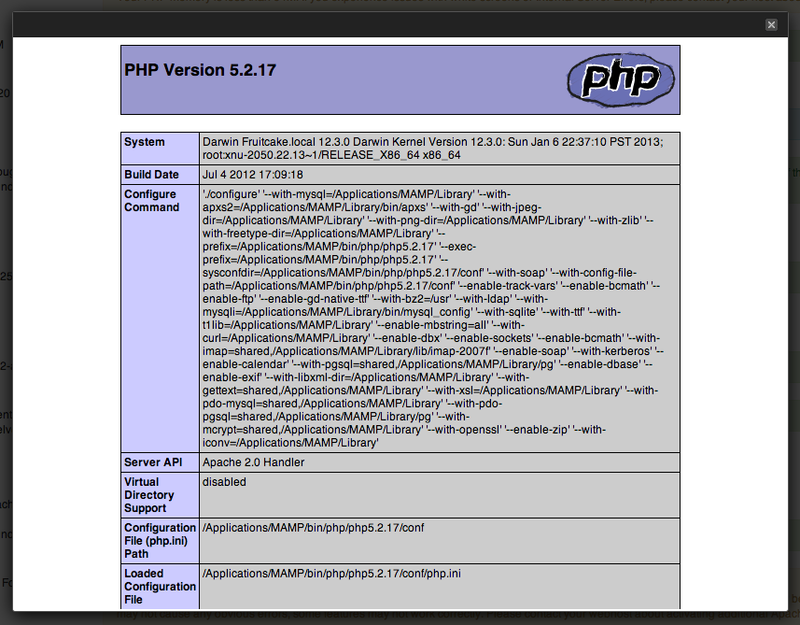 For example, the Espresso Requirements Check plugin will tell you how much PHP memory you are currently using. You can use the requirements check plugin to quickly view your PHP and server configuration information. 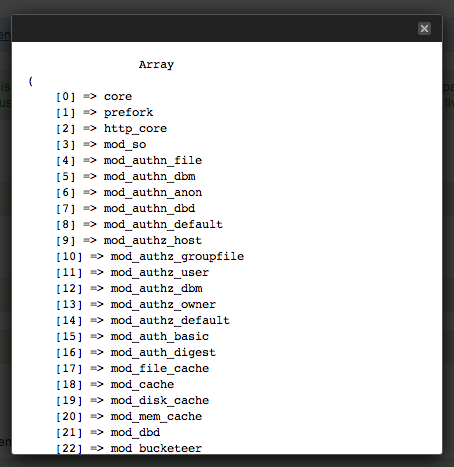 When available, you may use the plugin to see the installed Apache modules. This feature depends on your server configuration and will not display if the apache_get_modules function cannot be run. 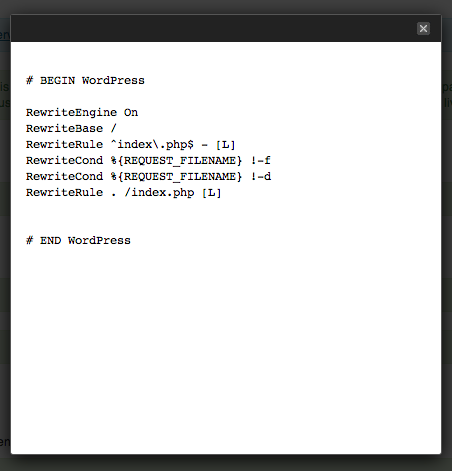 If it exists, you can also use the plugin to view the contents of your .htaccess file. It’s not generally recommended to leave the Espresso Requirements Check plugin active. This is because you do not generally need these checks to constantly be taking place on your server. Once you have the information you need, it’s usually best to deactivate the plugin. You can re-activate the plugin later if you need to use it for any of the information that the requirements check Tools page provides. Alternately, the TPC Memory Usage plugin also contains much of this information and can also be used to generate reports and checkpoints based on specific criteria. Go to the TPC Memory Usage plugin page to learn more about what that plugin can do.